Walt Whitman was not the first person to claim to contain multitudes. In Greek mythology, Deucalion and Pyrrha were instructed by Themis to replace the loss of mankind (after the end of an Iron Age flood) by casting stones of the earth (reinstating men and women) behind them. The couple claimed, “Nos duo turba sumus” (“We two form a multitude.”). In our era, Larry Constantine, an American software engineer considered one of the pioneers of computing, has said, “A dynamic duo who work well together can be worth any three people working in isolation.” And I once wrote a poem celebrating thirty-eight years of marriage to the same person (now going on fifty-nine years with my wife Betty) by citing the names “Lea & Perrins, Proctor/Gamble, Tom & Jerry, Yang and Yin” as forerunners among other memorable duos. Turning to the world of jazz (the focus for this particular blog): with on-the-spot improvisation at its heart, and once favoring late-night cutting contests and show-stopping solo excursions, the art of jazz might appear to be fiercely contestual, competitive—but it also fosters cooperation not often found outside an institution such as marriage (where, given the divorce rate, it does not always, obviously, reign or rule): a unique partnership in which superior talents set their egos aside and collaborate like Siamese twins who know each other’s thoughts, gestures, and whims by instinct, by heart—anticipating and responding to each other with ease and skill. 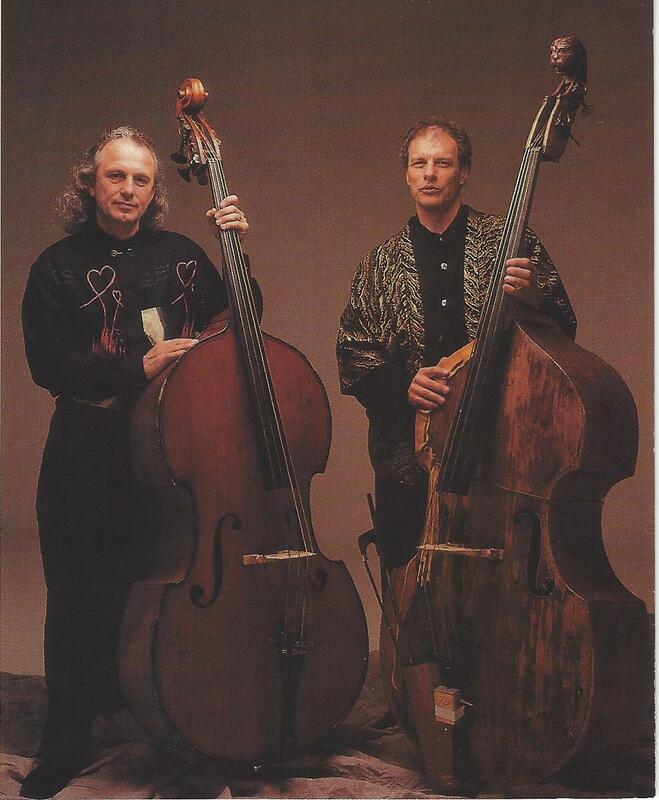 arriving at, for the purpose of this blog, bassists David Friesen and Glen Moore. 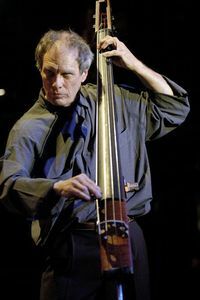 I first heard David Friesen perform at the Monterey Sheraton’s Bay Club and wrote about him for our local Monterey newspaper, The Herald, in March of 1988—and I have maintained twenty-seven years of constantly increasing admiration and respect for David and his work. The piece I wrote in 1988 was entitled “Jazz with Extra-Musical Purpose,” and that’s exactly what first attracted me to his considerable gifts (plural!) at the time. I felt that every note he played was infused with significance and intentionality; I felt that David saw the music, and humankind, not as ends in themselves, but as a means to celebrate the “gift” of life itself. 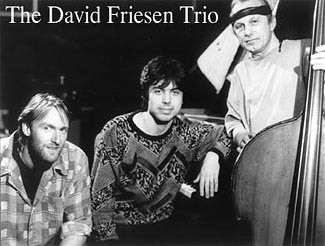 When I first heard David Friesen, he had played in the distinguished company of Joe Henderson, Stan Getz, Sam Rivers, and Duke Jordan. That evening at the Bay Club, he performed with a trio made up of himself, 22-year-old Phil Dwyer (sax and piano) and 25-year-old drummer Alan Jones. An inspiring, stunning instrumentalist, David was about as self-effacing as a leader dare get, yet always at the epicenter of the music. The trio offered a family tapestry filled with intricate and loving accord. 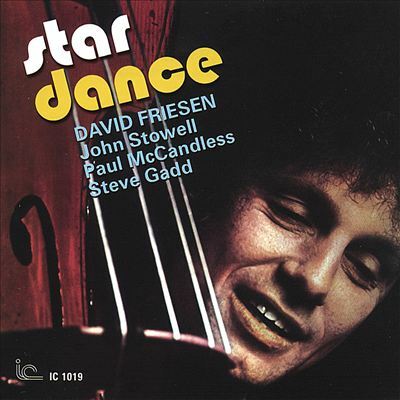 I heard David Friesen again about a year later, with Paul Horn’s Quartet at the Kuumbwa Jazz Center in Santa Cruz, California. 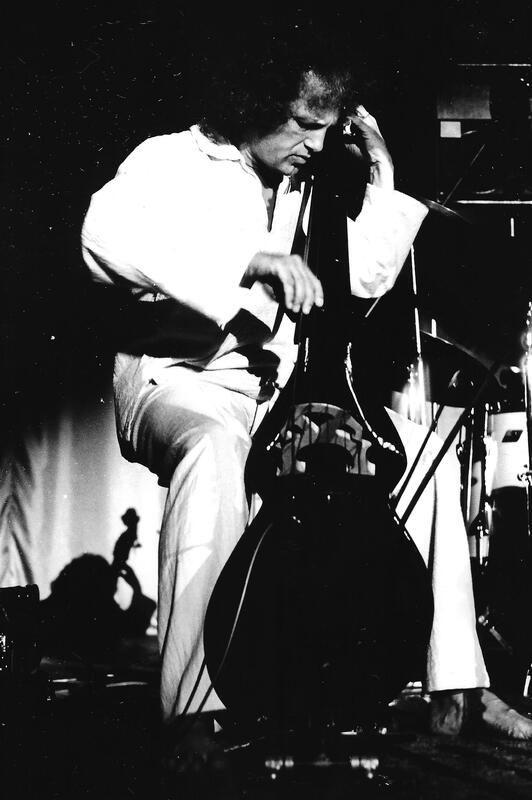 David’s solos were wonders of design: on-the-spot invention that swung, intelligence free of any hesitation. The group offered two Friesen originals: “Pathways” and “Festival Dance” (the latter just that: a syncretistic gambol, a joyful noise made unto the Lord). At that time, a series of recordings for ITM Pacific included duets on Two For The Show and a trio on Three To Get Ready. David Friesen cited four criteria for selecting the artists for both CDs: individuality-independence, dedication to the music, the ability to “listen,” and variety. Two For The Show featured Friesen in duets with the fine yet disparate talents of Brecker, Terry, Zeitlin, Scofield, Shank and German guitarist Uwe Kropinski. Regarding this CD, I wrote about David Friesen’s resilience, saying that, like a marriage without children, a duo could be a dangerous undertaking: all focus and responsibility placed on the partners’ reciprocity—a difficult art or balancing act that required each participant to truly listen constantly, and respond fully. And that’s just what each of these duos did! 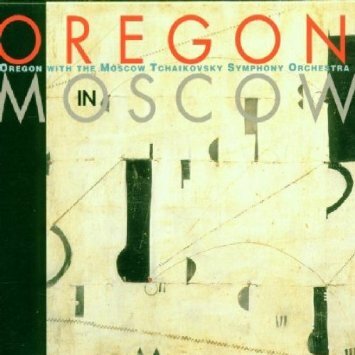 Oregon recorded twenty-seven albums together—a double CD (Oregon in Moscow) among them, a recording made with the Moscow Tchaikovsky Symphony Orchestra. The group’s other accomplishments include its music allied with an Apollo mission to the moon (craters there bear the names of two of Oregon’s songs: “Icarus” and “Ghost Beads.”)—and Glen’s individual credits include collaboration with vocalist Nancy King; the debut of his “Firebat Suite” by the Philadelphia Symphony; and music composed for theater (Henry VI) and to accompany poets (Galway Kinnell, Joe Stroud, Al Young, Robert Hass, Philip Levine, etc.) at the Mountain Writers Center in Oregon. The recent CD I want to focus on now–Bactrian–is the result of both that international travel and “home grown” opportunity. 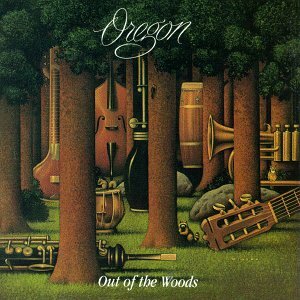 It was recorded and mixed at Fattoria Musica, in Osnabruck, Germany; and post production took place at the hands of Dana White (Specialized Mastering) back in Portland. 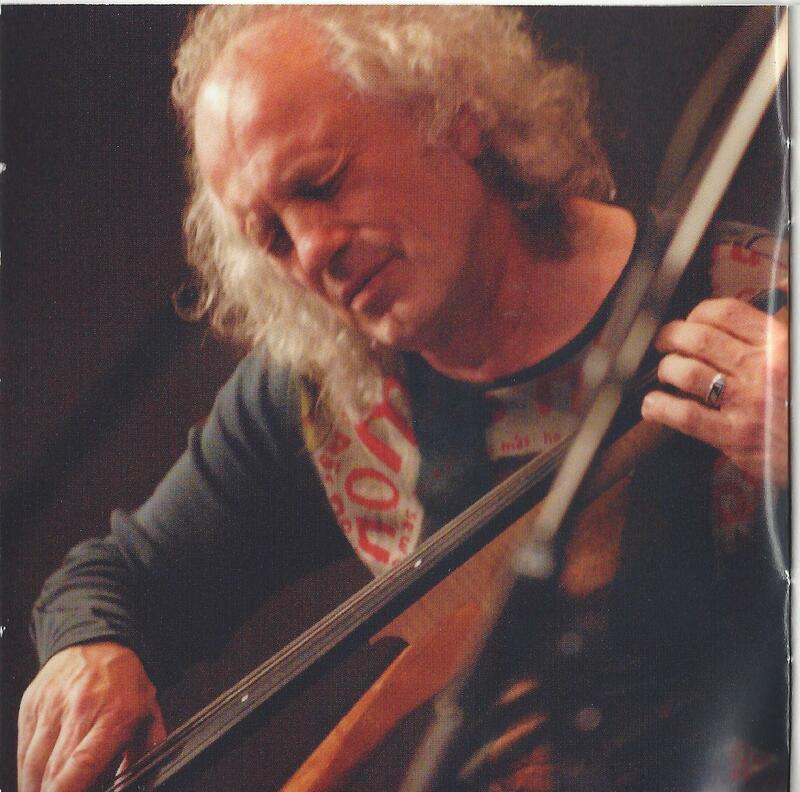 On it, both artists play piano, David Friesen Hemage Bass, and Glen Moore acoustic bass made by Heiner Windelband, Schloss Neu-Barenaue, Bramsche, Germany. I won’t go through the CD track by track (there are eleven in all), but because these great artists are also great storytellers (as superior musicians from Beethoven and Hector Berlioz to Thelonious Monk and Miles Davis have been! ), I will attempt to describe a few tracks, to give you a sense of the tales they tell and how David Friesen and Glen Moore go about inventing and then telling them (or do so simultaneously!). The first track, “Still Waters,” suggests just that: the placid waters of a lake upon which the notes, the timbre of each bass, provide concentric circles that spread, compatibly, throughout the piece. 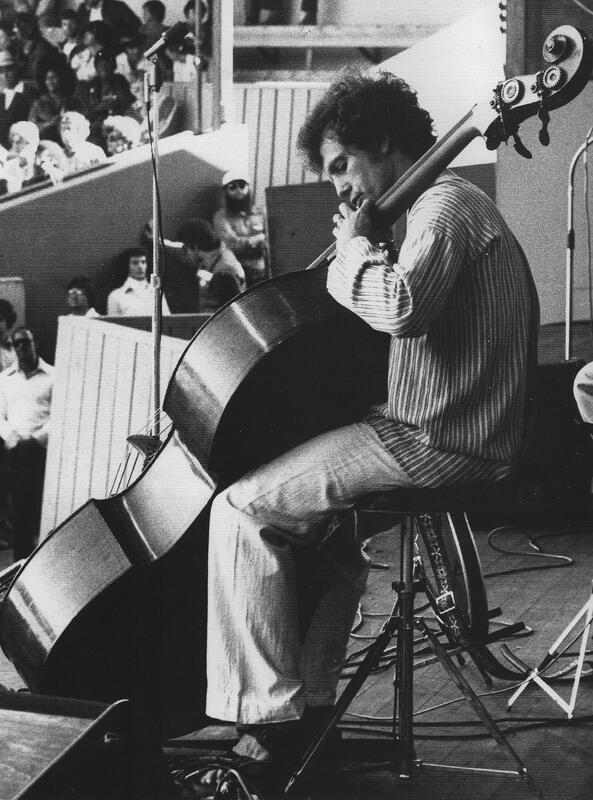 When David’s Hemage bass sings out, Glenn’s acoustic bass seems to nod in fully harmonious approval, the patterns accessible, simple, a perfect blend—“Still Waters” indeed, W.B. Yeats’ “Lake Isle of Innisfree” (“And I shall have some peace there, for peace comes dropping slow … for always night and day/I hear lake water lapping with low sounds by the shore …I hear it in the heart’s deep core.”). Effortless ease—or so it seems, but with years of practice, rigorous training, road trips, and homegrown performance behind it. 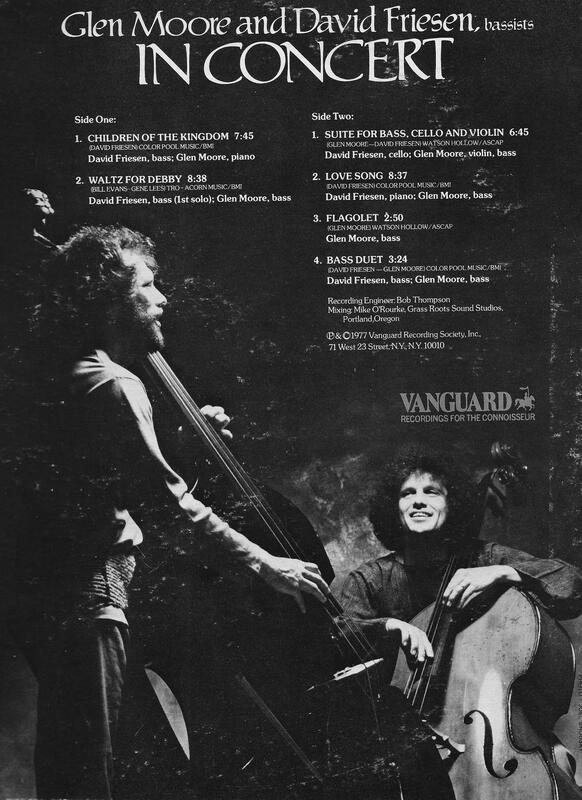 The next track on Bactrian, “Free Play,” is also just that from the start: David’s bowed bass, Glen on piano, more suggestion than statement (yugen), handsome counterpoint, each artist taking his polite turn even within the overlay, providing not just decorative but truly meaningful stratum. The pace picks up: slapped bass, vamps, “hand drum” percussion, exciting, enticing rhythms emerging, gracefully yet forcefully—then back to a more discursive, soft, conversational mode, laced with David’s rippling finger work and a sudden close. Again: “Free Play” indeed! 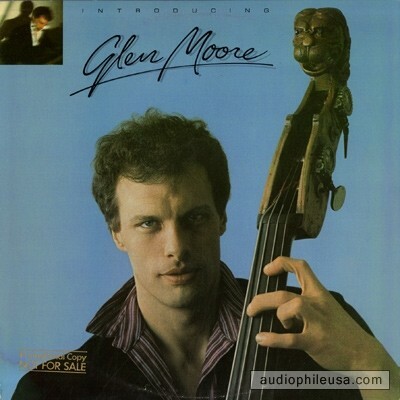 Tunes such as “Hoe Down” and “Smooth as Silk” tell the stories the titles suggest (a gentle Appalachian “groove” to the first, Glen’s “big voice” bass, heavy boots on a well-swept floor; David’s agile “tabla” (percussive) patterns; David on piano for the second: a delicate silken texture to this tune, evocative melodic lines, tasteful respect and rapport—the restraint of Glen’s large sound that seems to melt back into the piano. Together, they do full justice to two standards, “Caravan” and “Summertime,” but I’d like to describe what I hear in two more original tunes: “Return,” with Glen Moore on piano, featuring his fine touch and a tasty melody over David Friesen’s embracing vamp, the piece taking us “from swerve of shore to bend of bay,” and bringing us “by commodious vicus of recirculation” (words of another Irish author: James Joyce) home. And, on “Time and Time Again/Brilliant Heart,” David plays solo piano: the entire piece flowing with beautiful heartfelt homage, a sense of loss, and the consolation of love. 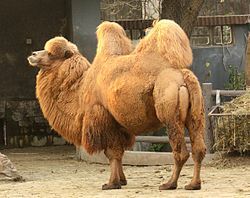 The CD’s title piece is called “The Bactrian”–a camel, “a large, even-toed ungulate native to the steppes of Central Asia,” a creature gifted with two humps on its back (in contrast to the single-humped dromedary), a “beast of burden” in its region dating back to the Achaemenid Empire (559-330) which preceded Alexander the Great’s arrival in the area that is now Afghanistan—a handsome creature with a tolerance for “cold, drought, and high altitudes,” a characteristic that made it fit for caravan travel on the Silk Road, wearing its long, wooly coat of sandy beige and possessing a handsome beard and mane, sealable nostrils and extended protective eyelashes. Expert storytellers that they are, David and Glen capture a sense of all that in the music itself: a camel lomp (I think I just coined a word! ), a vamp on the part of both artists at the start that contains the slow and steady accretion of Hector Berlioz’ “Marche des Pelerins” (the second movement of his symphony for viola, Harold en Italie) or the persistent percussion of Ravel’s Bolero (“one long gradual crescendo,” in the composer’s own words): an intriguing, infectious melody and abiding harmony to take along on the 8:23 minute journey, abetted by particles of sand and wind-bowed additional background or ambiance over and beneath a beautiful arco solo (melodic, melancholy)—the trek appropriately symbolic of the journey these two musicians have made together, with an inviting (not concluding) fade as the caravan moves off into the future’s distance at the close. Perfect! In his book Musicophilia, Oliver Sacks quotes neuroscientist Daniel Levitin on the “multiple attributes or ‘dimensions’ we perceive when we listen to music,” and lists those Levitin cites: “tone, pitch, timbre, loudness, tempo, rhythm, and contour (the overall shape, the up and down of melodies).” People enjoy attending concerts (of whatever nature or genre) because they anticipate the added musical ingredients of spaciousness, voluminosity, richness, resonance—additional dimensions, just as folks occupying an art gallery are there not just to appreciate chroma and texture, but depth and distance as well, the perceptual and emotional dimensions that stereoscopical vision affords. All of these attributes are present in the music that David Friesen and Glen Moore make together, intimate as it is in a duo setting for instruments that generally take a back seat in music, provide “rhythm section” support for trumpets, trombones, saxophones, etc. 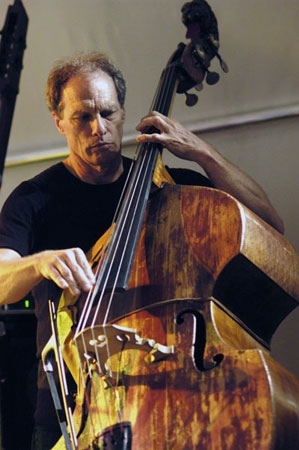 The two bassists are truly “orchestral” in scope—in execution and invention. 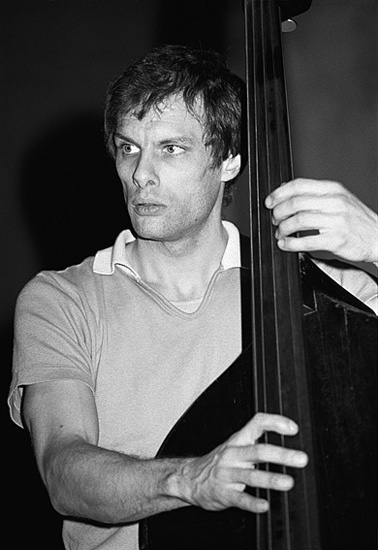 I have been privileged to write three articles on David Friesen, and also write about his scene-stealing, noisy-audience subduing performance with Ted Curson at the Monterey Jazz Festival in 1977 (Monterey Jazz Festival: Forty Legendary Years), his performances with Paul Horn in the Soviet Union (Unzipped Souls: Jazz Journey Through the Soviet Union), a five hour interview we undertook published in two sections in Cadence magazine in 2005, and liner notes for six of his CDs: Departures, Three To Get Ready, Four to Go, The Name of a Woman, Five and Three, and Where the Light Falls. After listening to Bactrian, I realized that most of what I had written could apply equally to what David and Glen play together. About the 1995 Burnside CD 1,2,3, I said that the discovery of the brilliant German guitarist Uwe Kropinski and the alert work of young pianist Randy Porter and drummer Alan Jones proved Friesen a master talent scout, but the same can be said of Glen Moore, who has performed with a host of international artists: Celtic singer Loreena McKinnet, oud player Rabin Abou-Khalil, sitarist Ravi Shankar, tabla player Trilok Gurtu, and the Kronos Quartet. And after all, early on, the two discovered each other! For Where the Light Falls, I wrote that some individuals can only improve, get closer to a state of perfect performance rather than slow down or fall short with age. In philosophy, Aristotle called the act “entelechy”: the genuine fulfillment of potential. In theology, Thomas Aquinas applied Aristotle’s concepts to pure being in a state of complete realization (in both essence and existence). In our time, the phrase “self-actualization” was much tossed around—but most of us would more than likely settle for the simple hope of getting “better and better” with age. 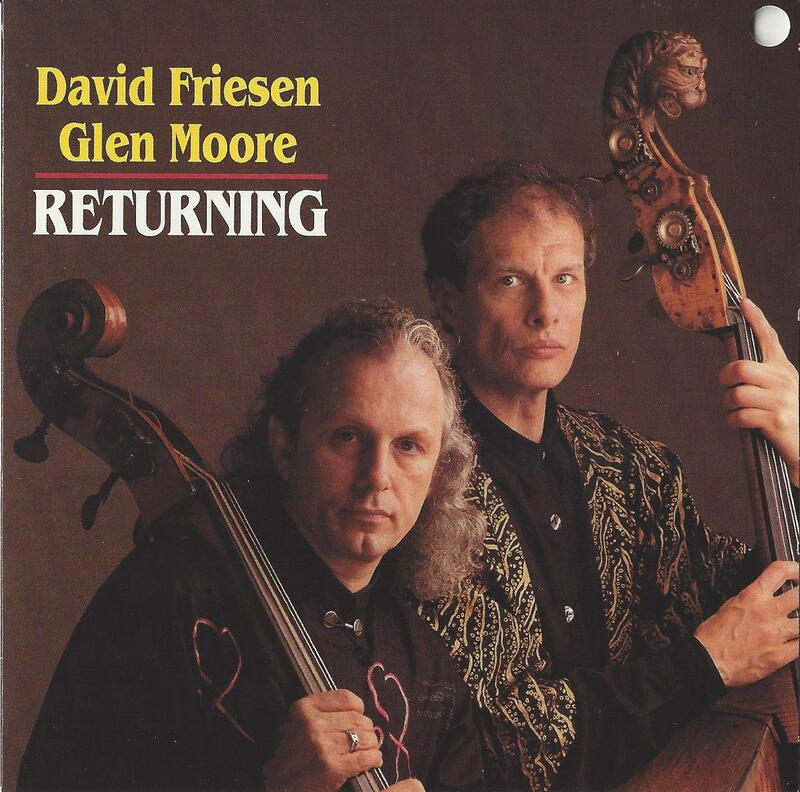 Getting much better with age is not only true of David Friesen, as I wrote then, but David and Glen Moore now. And every word said there is equally true of what David and Glen Moore have accomplished in Bactrian. Glen Moore and David Friesen are two musical artists who have consistently produced excellence: true giants operating on the highest level. Year after year (and for fifty years now) they have raised the bar of expectation and fulfillment, until it would appear that they can ascend no higher—yet I will not be at all surprised when, possessing the seemingly infinite talent they have (the extent of their rare gifts, their compatibility and natural consonance) they do so: offering future work we shall all be privileged to hear. Thank you, David Friesen and Glen Moore!